#0158* – UKIP & FARAGE OFFER MANY ANGLES TO WATCH THEIR SQUABBLINGS! UKIP & FARAGE OFFER MANY ANGLES TO WATCH THEIR SQUABBLINGS! A first for Junius. We defend David Bannerman! And we are pleased to note that Nigel has followed our lead and dropped the Campbell bit when referring to David. The UKIP Civil War continues. Many of Farage’s long time supporters are now turning against UKIP’s former golden boy. And Nigel is shocked. 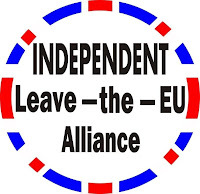 Trevor Colman defied Farage by agreeing to support Nikki Sinclaire’s referendum campaign. “NF stabbed the party in the back by abrogating his responsibility to the party as Leader – by not taking the party into the general election. And yes, he has damaged himself by doing that. He lost my support once he resigned. And many others in the party think the same. He has also put himself into the position of possibly being humiliated if he looses this leadership election. Why should anyone in UKIP want to vote for a Leader who has already declared they did not want the job when they had it and at a crucial moment in the history of the party, and now wants to come back? There are other perfectly good candidates available. And now even Bannerman has turned against our Nigel. How our hearts bleed for Nigel Farage. He loves going on Question Time and was even bragging to UKIPPERS at the hustings about his latest scheduled appearance. UKIP Leading Spokesman Nigel Farage returns to BBC Question Time when it airs from Cheltenham this week. Joining Nigel alongside host David Dimbleby will be Chris Huhne, Tessa Jowell, Max Hastings and Maria Misra. But he didn’t count on David Bannerman. Bannerman was less than pleased and put in a complaint. Farage was forced to withdraw from the programme. “Mr Bannerman clearly thinks that his own ambition and his own ego matter more than the interests of the party. Frankly I am appalled by that. I think that the act of getting hold of Question Time and saying it was all wrong and against party rules was just an act of envy”. “It was not professional for any one of the leadership candidates to go on the programme”. We hate to admit it but Bannerman is right. And everything that Farage said about Bannerman could be applied to himself. He had no problem putting his OWN ambition ahead of UKIP by using the Question Time slot to promote himself and his bid for the leadership. And let us not forget that doddering Titford – UKIP’s interim leader – is fully responsible for this farce. Did it not occur to him that allowing one of the leadership candidates to appear on Question Time and then heavily promoting it on UKIP’s official website was against the rules? That is what happens when you pick an old fool to lead UKIP. During the leadership election hustings in Birmingham tonight David Campbell Bannerman said, more than once, that he was loyal to the party. When all the candidates were asked if they would deal with the leader should they lose the election, DCB said once again that he was loyal to the party and would do whatever the leader asked of him. So imagine everyone’s surprise when Nigel got a phone call from the press office following the hustings telling him that the BBC had removed him from the panel on tomorrow’s Question Time programme because David Campbell Bannerman had complained that they were giving him airtime during the leadership election. Tomorrow’s Question Time is about the huge new wind farm at Thanet which UKIP is opposing, not about the leadership election. Nigel would have been to token anti-windmill panel member and was chosen ahead of a Green Party spokesman. Now UKIP will be denied the publicity that Question Time always brings and the programme will probably go ahead without someone credible speaking out against the global warming scam. So much for party loyalty. Junius says: Give us a break! The panellists are not supposed to know the questions in advance. And why would ANYONE in Cheltenham be interested in a wind farm in far away Kent? Sycophants for UKIP will really have to do better than that! But loyalty to members and the cause is more important than loyalty to the party and that’s why DCB is even more out of order in making this petty complaint. While the other candidates were chatting to members, listening to their views and giving them more detail on their campaigns, DCB was in the car park complaining to the BBC. Junius says: So leadership candidates who expect a level playing field are disloyal? But we do appreciate the irony of Bannerman getting upset over Question Time. He had no problem when it came to the rigged MEP selection process or the recent rigged NEC elections! FACT: There is not a single UKIP election that has been run properly. Every single election has been dogged by allegations of corruption and vote rigging. The party never learns. Wolfman McTrough was upset. Don’t tell us that he is falling out of love with David? The very public UKIP train crash continues…..